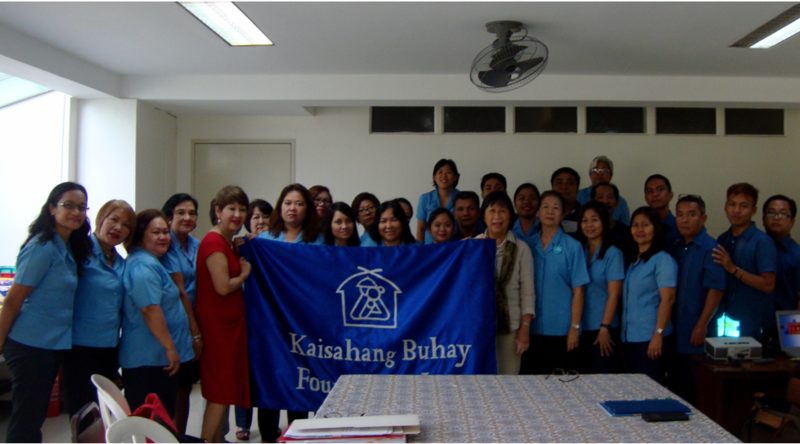 Wishing Godspeed to Rosario B. de la Rosa, KBF’s Retired Executive Director | Kaisahang Buhay Foundation, Inc. 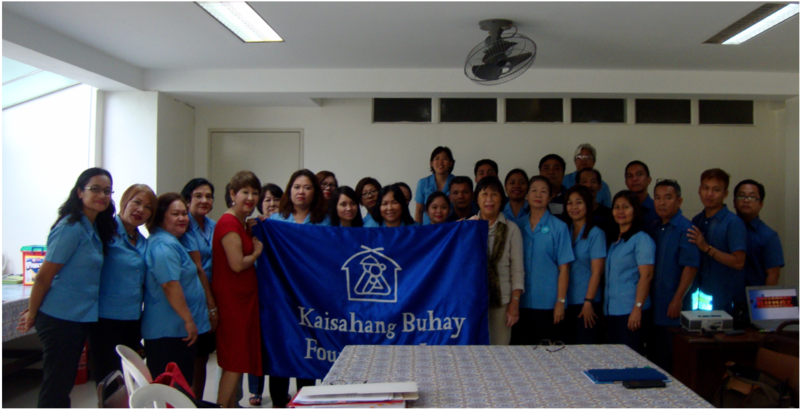 Outgoing Executive Director, Rosario B. de la Rosa, joins KBF Trustees and staff members in the turnover to incoming ED, Marilyn F. Manuel – by symbolically handing over the KBF flag. Mrs. de la Rosa had served as KBF’s Executive Director for 17 years, from 1998 to 2015.